The first photography class I took was in high school. 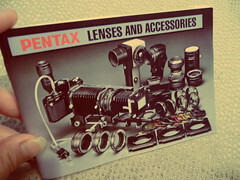 I used my Mom’s old Pentax SLR. I’m pretty sure it was this one – the K1000. Photo class was one of the few reasons I dragged myself to school in the morning. We shot in black & white and learned to roll and process our own film and develop our own prints. I was such a geek I would stay late after school to use the darkroom. Lots of smelly chemicals (and some ruined clothes as a result), but I loved it. I even endured having my hair pulled by little babies while working part-time at the local mall’s portrait studio. Pay was three measly bucks per hour, but the point was to get the practice. The Olympus Stylus was one of the best 35mm film point and shoots – it had a great lens and while most autofocus cameras required a minimum of 3 or 4 feet to take a shot, the Stylus could focus as close up as 14 inches and it was very compact. I liked the camera so much, I bought a Stylus Epic after the first one croaked! Now after looking around online, I see there’s a market for these old cameras and there are people who still shoot with it. I better hold onto mine! In college I took one photography class, but it wasn’t the best experience. I always dreaded the critiques cause I really didn’t feel my classmates found my photos or presentation that interesting. I think most of them were art majors while I was only taking a course out of personal interest. I wasn’t “artsy” enough and perhaps my photos were more photojournalistic in style. Finally on one of the critique days, I decided I didn’t care what they thought and made up some total B.S. about the symbolism behind a photo I’d taken of a flower – which to me was just a photo of a flower. Of course they ate it up and I earned my first “A”! I never took another photography class in college after that but instead decided on pursuing a degree in broadcast journalism where I got my hands on a different type of camera – the video camera. I found myself enjoying the production end of the news (versus being on camera) as naturally, I enjoyed playing with all the expensive professional level video cameras and editing equipment! After college, the first SLR I purchased was the Canon EOS Elan II with a Sigma 28-80mm 1:3.5-5.6 Macro lens. I think it was a kit lens. I honestly can’t remember too much about what I shot with this camera…but I hope it was something good. The photos I used to make the DIY table numbers at my wedding last year were all taken with this camera. 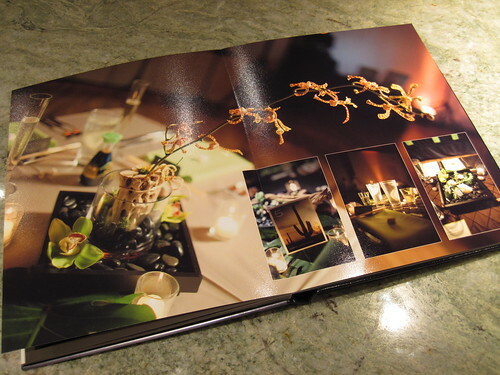 And my early MyPublisher photo books feature photos taken with that camera. Last year, I figured it was time to upgrade and the hubs and I registered for the Panasonic Lumix DMC-TZ5 on our wedding registry. It features 9.1 megapixels, a 28mm wide Leica lens and a 10x optical zoom plus HD video recording capability. We used this camera for all our honeymoon photos and trips to date. Most if not all of the photos I’ve taken of my photo books for the reviews have been with this camera. That experience got me hooked me on underwater photography, so we did some research and decided to buy the Canon PowerShot D10, a 12.1 megapixel 3x zoom compact camera. It’s become one of my favorite cameras to play with. Because the lens is fully encased it’s the perfect camera to bring to the beach or anywhere you’d be concerned about sand, dirt or snow getting into the camera. It’s marketed for the rugged outdoors and it works very well both above and below water. The encased lens and sealed compartments allow you to shoot underwater as far down as 30 feet. The following photos were all taken with the Canon PowerShot D10 in the Cayman Islands and was the first time I tested its underwater capabilities. I did do some post-processing in Photoshop, but I think the camera did a very good job producing clear images right out of the camera. Since I’m a snorkeler I made extensive use of the 3x optical zoom as you can tell here. It also helped that the Caymans have beautiful crystal clear waters. Although it’s a bit grainy, I love the shot of the two Southern stingrays. They look like they’re having a conversation don’t they? The class was just last week and at the start of class the instructor went around the room to survey all the cameras, as the point of the class was to teach us the basics and how to use our cameras. When he came up to me and said, “Did you ever take a photo class before?” I thought I was in trouble or something, but I muttered that I had taken a class or two in high school. He then oddly declared to the class that I was “the winner”. He explained that the 50mm prime lens was the best lens in comparison to other lenses in the class and the best in his opinion overall. We learned that the lenses frequently packaged with the camera in a kit are frequently lower quality lenses. At only about $100.00, the f/1.8 lens is a high quality lens for a low price and is great for shooting in low light conditions while maintaining sharpness. It’s also a lens that is good for portrait photography. In contrast Nikon’s f/1.4 lens costs more than 4 times as much, for only one additional f-stop. So, I have the Facebook fans to thank for all their good advice! I’m not a camera expert, so I listen to the advice of those more experienced than me! I made my first few photo books on an old Dell PC, but the majority of them I’ve made on my 15-inch MacBook Pro laptop (OS X 10.5.8 with a 2.2 GHz Intel Core 2 Duo processor). I think at some point though if I continue with my book making mania, I should think about getting a desktop with a larger screen as it will be easier on the eyes. 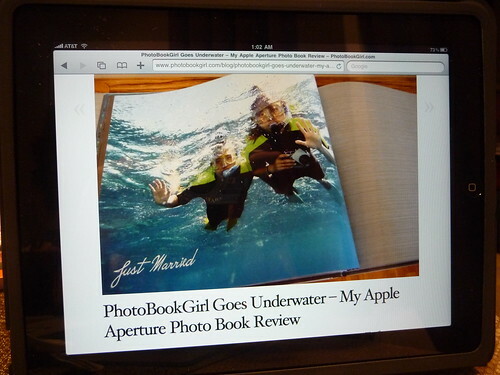 For now however, we went smaller – my husband recently picked up the 32 GB Apple iPad in lieu of getting the iPhone 4. Unfortunately, I can’t make photo books on the iPad, though who knows – maybe someone will come up with a photo book app? I use it primarily to update my site, to keep up with all the deals and post updates to my Facebook page. There are some photo book companies that don’t work with Macs so that limits me some and some companies lag behind in updating the Mac versions of their software, however I’m a loyal Mac owner and I still find plenty of companies that are Mac compatible. I hope you enjoyed a trip down camera memory lane with me. 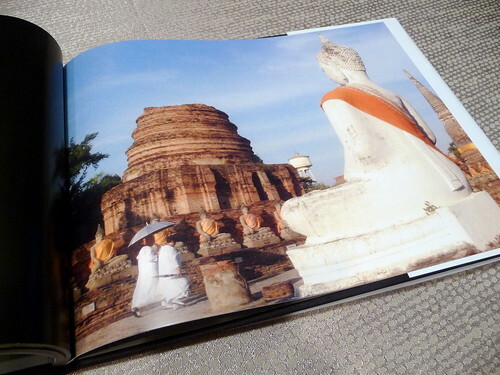 The point of showing you the cameras I have used is partly to give more detail on my background in photography and share with you what I use as the tools in photo book making, but another reason is to illustrate that you can make high quality photo books using photos taken from a standard 5-megapixel point and shoot camera. 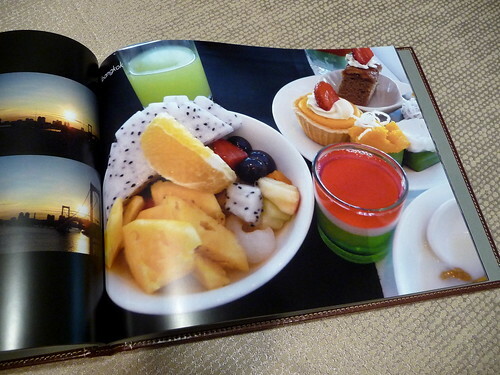 Newbies to photo books should not be intimidated in making their first book. 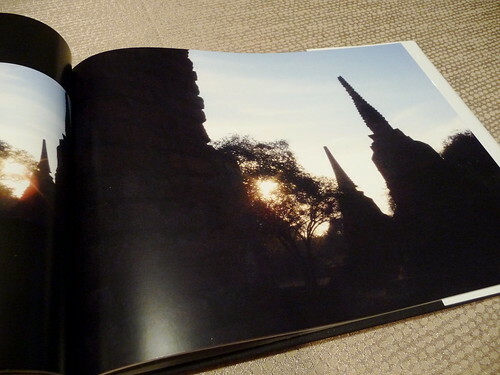 You don’t need a fancy DSLR to take good photos and you don’t need expensive software to create a beautiful photo book. So, try out one of the free offers such as the Picaboo Classic photo book offer which runs for about a week more until 8/31 or the free Pixable photo book, both offered to new users. The second post in the series will be more substantive and will focus on organizing and preparing your photos for your photo book. Check out the overview of this series on how to make your own photo book and stay tuned for more photo book tips! So glad I read this post. I am starting to look for my first nikon dslr camera, but the stores I went to just wanted to sell me a package. Before I read your post, I didn’t even know you can buy the body without the lens. How are you liking your camera? Any additional info you can provide or websites that helped you with your purchase decision would be great. I may be looking for something a little less expensive. Thanks! If you’re interested in photography, I would recommend this site. They have a lot of great tips! Thanks for all your posts b/t/w and good luck to you in the giveaway! I saw the reviews in the paper on the Canon Powershot D10, I haven’t seen it for myself but it looks a bit bulky and was described as such from reviews. I’m sure it’s still smaller than the Nikon SLR that I lug around everywhere but it’s time to invest in a smaller camera for convenience. That will be one of my options as I start looking into underwater cameras. Glad to find this, I’ve been wondering about what kind of camera you use. How did you choose the Panasonic? Is it really compact? I am new to photography and I am looking forward to creating beautiful photos like the ones on this issue. Allison, I have heard some buzz on it, but not enough to be able to say anything knowledgeable about it. Have you looked at Digital Photography School? I don’t know if they’ve reviewed it yet, but the community over there knows their stuff! Thanks photobookgirl for the bevy of info… 🙂 I will use it to choose my camera! i discovered your site today. what is your favorite photo book company? i have only used apple and picaboo so far. your website site has lots of useful information. New to your newsletter and website, sick in bed today so enjoying simply reading post after post. 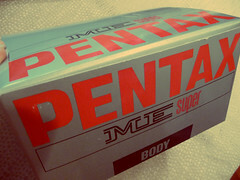 I just had to comment when I saw the camera that you started with – the Pentax ME Super, which belonged to your mom. I am guessing your mom and I are about the same age as that’s the exact camera I started with, and I now, despite having a Pentax K20D, use my Lumix DMC-ZS15 all the time. Simply love the ease and portability when travelling. 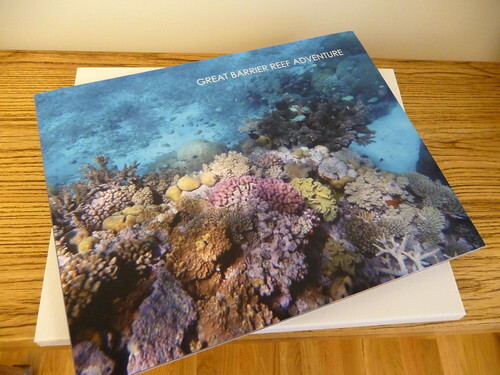 Last year bought an Olympus Stylus TG-2 for underwater snorkelling, first underwater camera. My photos are not nearly as good as yours – well done! Also, one final jog down memory lane: took a photography course in the 80’s at a university and it put me off photography for years, sad to say. Newly retired and starting to put together photo books, etc so am thrilled to have discovered your site. Hi Alex! I hope you’re feeling better! Sounds like we have a lot in common. What I love about photography is that it’s always something you can pick up and try to learn and develop new skills when you have the time. Underwater photography is so much fun isn’t it? I wish I could do it more often. Now nighttime and fireworks photography has been a new skill set I’ve been trying to work on more recently. 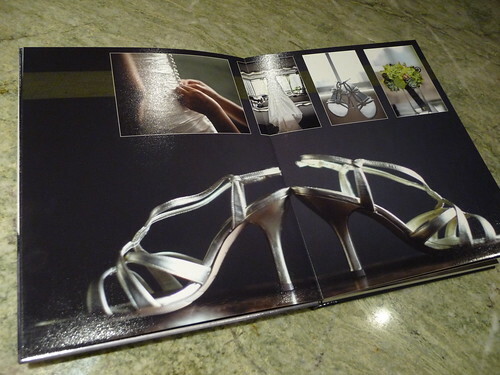 I hope you enjoy your foray into photo books – I have a feeling you’ll get addicted to them like I have! Thanks for signing up for the newsletter too… Best!